For a diagnosis of Anorexia nervosa an individual falls has bodyweight more than 15% below the standard weight, or a body mass index (BMI) below 17.5 (ICD-10) With this disorder weight loss is self-induced by avoidance of fattening foods, vomiting, purging, exercise, or appetite suppressants. Most often this includes a distortion of body image so that the patient regards his/herself as fat when he/she is thin. There will be a morbid fear of fatness and amenorrhea in women. Anorexia nervosa is an eating disorder that causes people to obsess about their weight and the food they eat. People with anorexia nervosa attempt to maintain a weight that’s far below normal for their age and height and often believe they are still overweight. To prevent weight gain or to continue losing weight, people with anorexia nervosa may starve themselves or exercise excessively. Some people with anorexia lose weight mainly through severely restricting the amount of food they eat. They may also try to lose weight by exercising excessively. Others with anorexia engage in binging and purging, similar to bulimia. They control calorie intake by vomiting after eating or by misusing laxatives, diuretics or enemas. Anorexia, like other eating disorders, can take over your life. You may think about food all of the time, spend hours agonizing over options in the grocery store and exercise to exhaustion. You also may have a host of physical problems that make you feel generally miserable, such as dizziness, constipation, fatigue and frequently feeling cold. You may be irritable, angry, moody, sad, anxious and hopeless. You might visit pro-anorexia Web sites, refer to the disease as your “friend,” cover up in layers of heavy clothing, and try to subsist on a menu of lettuce, carrots, popcorn and diet soda. It’s not known specifically what causes some people to develop anorexia. As with many diseases, it’s likely a combination of biological, psychological and sociocultural factors. Biological. Some people may be genetically vulnerable to developing anorexia. Young women with a biological sister or mother with an eating disorder are at higher risk, for example, suggesting a possible genetic link. Studies of twins also support that idea. However, it’s not clear specifically how genetics may play a role, although researchers have discovered an area on chromosome 1 that appears to be associated with an increased susceptibility to anorexia nervosa. It may also be that some people have a genetic tendency toward perfectionism, sensitivity and perseverance, all traits associated with anorexia. There’s also some evidence that serotonin — one of the brain chemicals involved in depression — may play a role in anorexia. Psychological. People with anorexia may have psychological and emotional characteristics that contribute to anorexia. They may have low self-worth, for instance. They may have obsessive-compulsive personality traits that make it easier to stick to strict diets and forgo food despite being hungry. They may have an extreme drive for perfectionism, which means they may never think they’re thin enough. Sociocultural. Modern Western culture often cultivates and reinforces a desire for thinness. The media are splashed with images of thin models and actors. Success and worth are often equated with being thin. Peer pressure may fuel the desire to be thin, particularly among young girls. However, anorexia and other eating disorders existed centuries ago, suggesting that sociocultural values aren’t solely responsible. Genetics. Researchers have found an area on chromosome 1 that appears to be linked to an increased risk of anorexia nervosa. Additionally, anorexia nervosa runs in families, another factor that suggests a genetic component. Women with a first-degree relative — a parent, sibling or child — who had the disease, have a dramatically increased risk of developing anorexia nervosa. Transitions. Whether it’s a new school, home or job, a relationship breakup, or the death or illness of a loved one, change can bring emotional distress and increase the risk of anorexia nervosa. If a person with anorexia becomes severely malnourished, every organ in the body can sustain damage, including the brain, heart and kidneys. This damage may not be fully reversible, even when the anorexia is under control. When doctors suspect someone has anorexia, they typically run a battery of tests and exams to help pinpoint a diagnosis, rule out medical causes for the weight loss and also check for any related complications. Laboratory tests. These may include a complete blood count (CBC), as well as more specialized blood tests to check electrolytes and protein as well as functioning of your liver, kidney and thyroid. A urinalysis also may be done. Psychological evaluation. A doctor or mental health provider can assess thoughts, feelings and eating habits. Psychological self-assessments and questionnaires also are used. To be diagnosed with anorexia, you generally must meet criteria spelled out in the Diagnostic and Statistical Manual of Mental Disorders (DMS), published by the American Psychiatric Association. Refusal to maintain a bodyweight that is at or above the minimum normal weight for your age and height. Intense fear of gaining weight or becoming fat, even though you’re underweight. Denying the seriousness of having a low body weight, or having a distorted image of your appearance or shape. 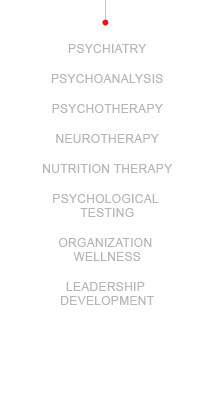 When you have anorexia, you may need several types of treatment. If your life is in immediate danger, you may need treatment in a hospital emergency department for such issues as a heart rhythm disturbance, dehydration, electrolyte imbalances or psychiatric problems. The first goal of treatment is getting back to a healthy weight. You cannot recover from an eating disorder without restoring an appropriate weight and learning proper nutrition. A dietitian can offer guidance on a healthy diet, including providing specific meal plans and calorie requirements that will help you meet your weight goals. Your family will also likely be involved in helping you maintain healthy-eating habits. Individual therapy. This type of therapy can help you deal with the behavior and thoughts that contribute to anorexia. You can gain a healthier self-esteem and learn positive ways to cope with distress and other strong feelings. A type of talk therapy called cognitive behavioral therapy (CBT) is commonly used but lacks strong evidence that it’s superior to other forms of therapy for treating anorexia nervosa. A mental health provider can help assess the need for psychiatric hospitalization or day treatment programs. There are no medications specifically designed to treat anorexia because they’ve shown limited benefit in treating this eating disorder. However, antidepressants or other psychiatric medications can help treat other mental disorders you may also have, such as depression or anxiety. Some cases of anorexia are much more severe than others. Less severe cases may take less time for treatment and recovery. One of the biggest challenges in treating anorexia is that people may not want treatment, may think they don’t need it or may be concerned about weight gain. And, some people with anorexia promote it as a lifestyle choice. They don’t consider it an illness. Pro-anorexia (pro-ana) Web sites can be found on the Internet, and some even offer tips on which foods to avoid and how to fight hunger pangs. Even if you do want to get better, the pull of anorexia can be difficult to overcome. Anorexia is often an ongoing, lifelong battle. Although symptoms may subside, you remain vulnerable and may have a relapse during periods of high stress or during triggering situations. For example, anorexia symptoms may subside during pregnancy only to return once your baby has been delivered. Ongoing therapy or periodic appointments during times of stress may be helpful.